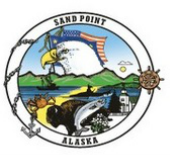 The Sand Point City Council consists of 6 at-large members, plus the Mayor. Each elected official's term is 3 years. The Mayor is elected at large, and is the chief executive of the city. He/she shall preside at Council meetings, act as ceremonial head of the city, and sign documents on the city’s behalf upon Council authorization. The Mayor has veto power, and is not a Council member. The last City election took place on October 3, 2017, and results were certified on October 10th.